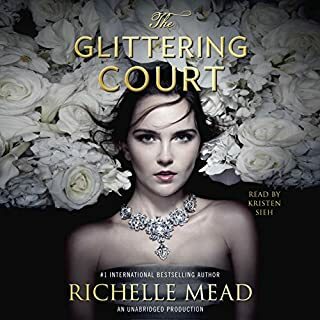 What made the experience of listening to The Glittering Court: The Glittering Court, Book 1 the most enjoyable? I went into this book just wanting an entertaining, fluffy YA novel to listen to on my commute. I chose The Glittering Court because the plot sounded interesting enough and it has good reviews. I ended up loving it! The description of the book really doesn't do it justice. The story has so much more depth than I was expecting and engages with so many different issues. I'm invested in this story now and can't wait for the next book in the series! What does Kristen Sieh bring to the story that you wouldn’t experience if you just read the book? Kristen Sieh is a wonderful narrator. Before I downloaded the book, I read some reviews saying they didn't like her narration very much. I completely disagree. I could listen to her forever. She really brought the characters to life, especially the protagonist.